Provide comfort for the family of Norris Brown with a meaningful gesture of sympathy. 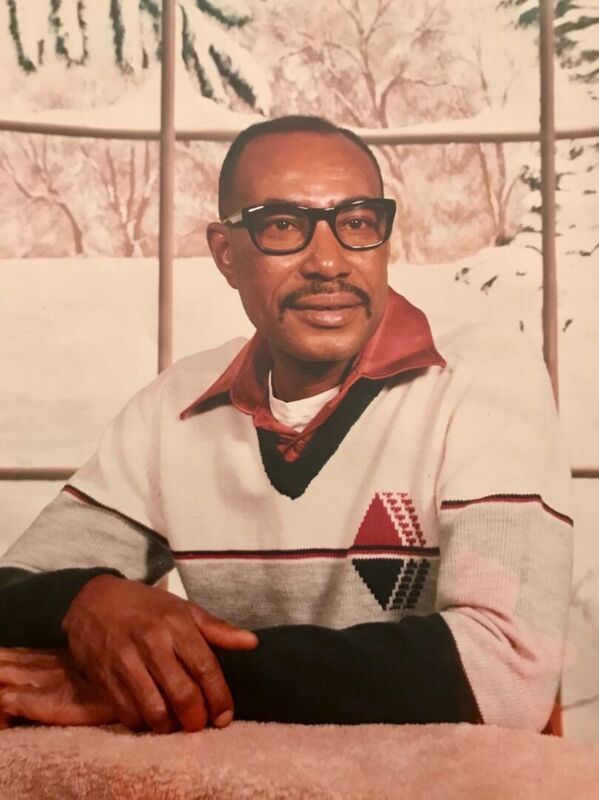 Brown, Norris Leonza of Linwood, New Jersey passed away peacefully at his home surrounded by family on Friday, March 22, 2019. He was born on February 4, 1935 to the late Robert Brown and Bettye Gerald Washington in Mullins, South Carolina. Norris (affectionately known as Leon) received his formal education from Palemetta High School in Mullins, South Carolina. There he was an avid football player. After high school, Leon entered the military and served our country in the United States Navy. After time in the service, he moved to Ocean City, New Jersey where he met and married the love of his life, Rosetta English, a love of 58 years. Leon and Rosetta lived in Lakewood for several years and then 50 years in Pleasantville before retiring to Linwood. Prior to his illness, Leon was employed by A E Stone Paving and Asphalt Services. He was also a self-employed landscaper and auxiliary police officer in Pleasantville. He was later employed by Adams-Perfect Funeral Home and has remained friends with the Adams-Perfect family throughout his life. Leon enjoyed working in his garden, barbecuing, and participating in neighborhood Christmas Decoration Contest, but his greatest pleasure was shopping at Boscov's, gathering gifts for family and friends. Leon loved the Lord and his Trinity Church Family. He found time with the help of a friend, Richard, to frequently attend the 8:00am services. Norris was predeceased by his parents; and his brother, Meyers Gerald. He leaves to cherish his fond memories his loving wife and prayer partner, Rev. Rosetta English Brown; two daughters, Sheila James (Bishop Herbert) from Midlothian, TX, and Prophetess Amaris Brown; two granddaughters, Sinetra Gandy (Pastor Antonio), and Shacondra Roseman (Connie); one grandson, Niles Davis; two great granddaughters, Janaia and Jianna; brother and sister-in-law, Grady Donaldson (Carrie) of Lakewood, Curtis English (Doretha) of Egg Harbor, David English (Jean) and James English (Gladys) of Efland, NC; one aunt, Joann Brown of Mullins, SC; along with a host of cousins, nephews, nieces, and friends. A celebration of Leon's life will be held on Saturday, March 30, 2019 at 11:00am at the Mt. Zion Baptist Church, 352 S. New Road, Pleasantville. A viewing will be held from 9:00am until the time of the service. Interment will follow in the Atlantic County Veterans Cemetery, Estell Manor. We encourage you to share any memorable photos or stories about Norris. All tributes placed on and purchased through this memorial website will remain on in perpetuity for generations. "Amazing Grace How Sweet The Sound That Saved a Wretch Like Me" Mrs Brown & Family; I know you are a woman of faith, and you know God makes no mistakes. God has blessed you in sharing with Leon (58) years of marriage. I have fond memories of Leon such a gentle and kind man.I remember the dinners he use to prepare at Mt.Zion. He always had a joke to tell to make you laugh.May God continue to bless you and your family. The Spence & Taylor Family. Reuben &Carolyn, Shanda , Richie, Mike, & Lamont. My deepest condolences to you and the family. You will remain in prayer.